Organization Development is a body of knowledge and practice that enhances organizational performance and individual development. OD emerged out of human relations studies from the 1930s where psychologists realized that organizational structures and processes influence worker behavior and motivation. 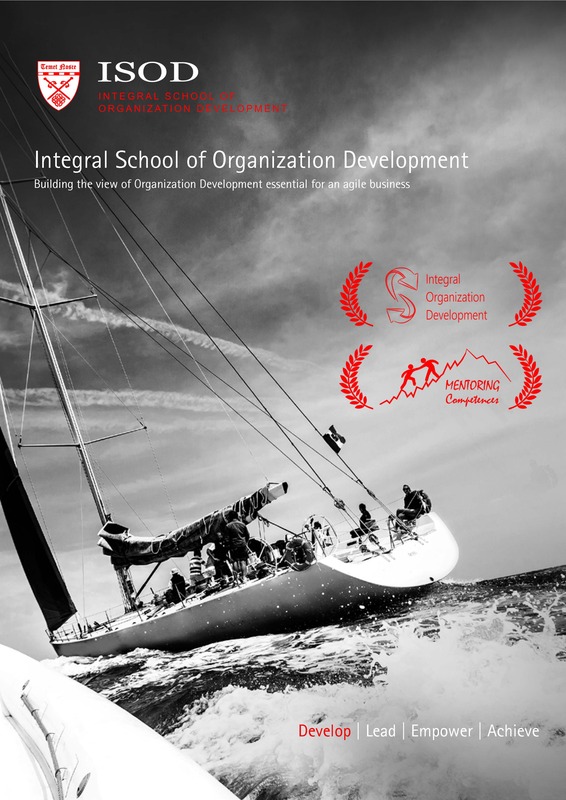 More recently, work on OD has expanded to focus on aligning organizations with their rapidly changing and complex environments through organizational learning, knowledge management and transformation of organizational norms and values. Mentoring in business refers to a relationship between a senior or more experienced individual (the mentor) assigned to act as an development advisor, counselor, or guide to a business owner or employee (the mentee). It can be used at all stages in the business lifecycle and offers benefits to both mentors and mentees. The mentor is responsible for providing support to, and feedback on, the individual in his or her charge. The fundamental truth of OD and Mentoring disciplines is that OD consultants themselves, as well as mentors themselves, are the most important “tools”. No method, no tool, no technique is worth anything in these disciplines if it is used by someone who has no idea about how human beings function – be it as individuals, or as groups we call organizations. And to know humans, you first and foremost have to know yourself. To develop humans and human organizations, you first have to develop yourself. This is why ODM program is an ideal mix of know-how in the areas of individual and organizational development, providing students with the latest concepts, tools and methods in developing both of these aspects. Find out more about this study from the Program brochure.